It was an honor to be chosen to photograph John and Tammy’s wedding this summer! 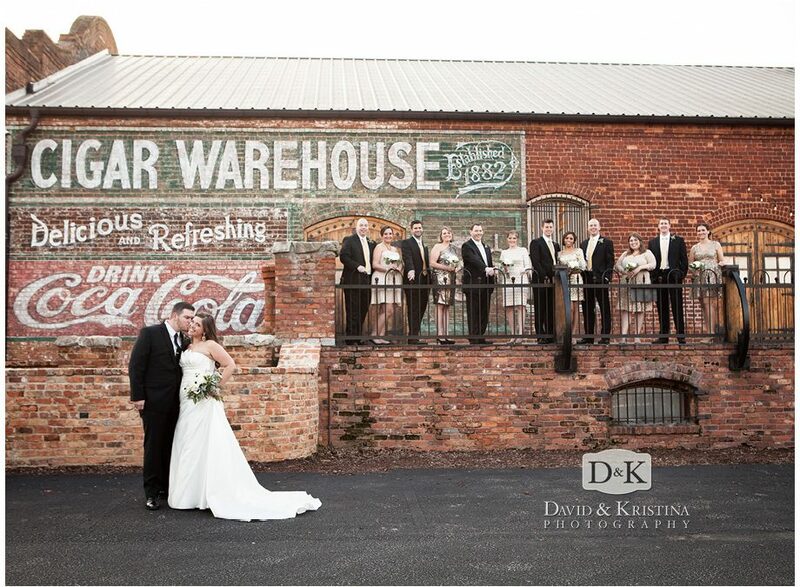 They had their ceremony at the Rock Quarry Garden with a reception following at The Old Cigar Warehouse. After the Rock Quarry Garden Wedding, the elegant reception began with cocktails and passed hors d’oeuvres. A four-course dinner prepared by Chef Peter Collins (Chef 360) included Alaskan Salmon caught by the bride’s brother. Dinner was served to guests at the long farm-style table on the deck, decorated by Renee Burroughs Design. Liquid Catering provided beverages while live dinner music by Erica Berg’s band created the perfect ambiance. The cake was created by Holly Bowers; Erica Berg got the guests dancing from her DJ booth while FunnelDelicioius provided late evening snacks. Directed by Jennifer Dennis. Michael and Virginia are not only fellow Gamecocks (David & Kristina also graduated from USC in Columbia), but Virginia and David share the same High School alma mater (J.L. Mann). 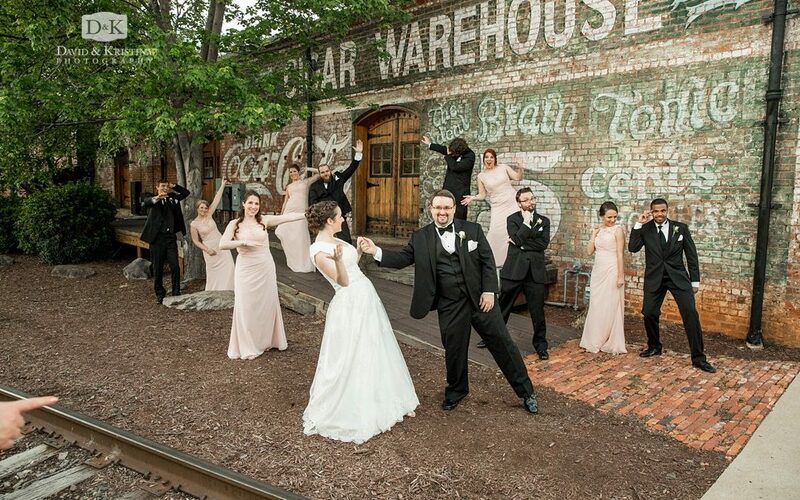 We had an absolute blast photographing their wedding at The Old Cigar Warehouse in Greenville, SC. Cocky even made a surprise visit to the reception and challenged a few of the guests to a dance-off. Pretty sure Cocky won, but don’t take my word for it. One of the most important things that must happen in order to get great photos from your wedding is a good relationship with your photographer. Andy and Carrie knew that when they were planning their wedding, and made certain that they put in the extra effort to communicate with us and be very honest about what they wanted from their experience. Alexus and Allison are twin sisters who just happened to get engaged one day apart. 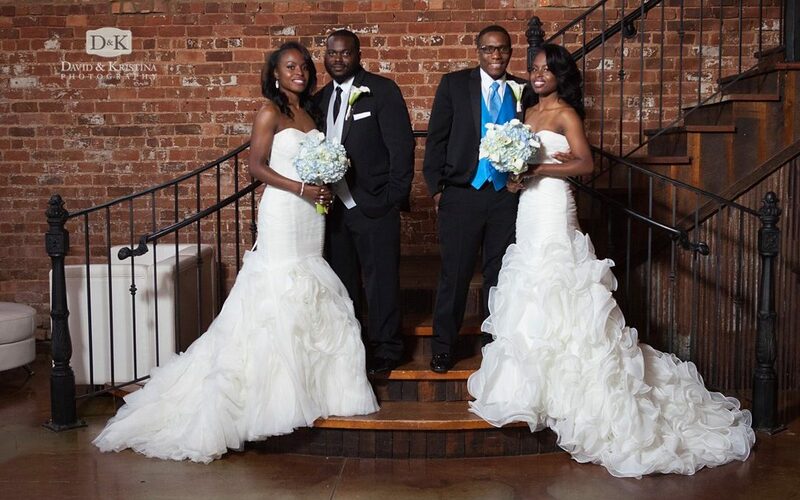 Since their engagements were so close together, they decided to have a double wedding so that all of their friends and family could attend their special day. This was the first double wedding for David and Kristina Photography, and we were so excited they choose us to capture their special day! 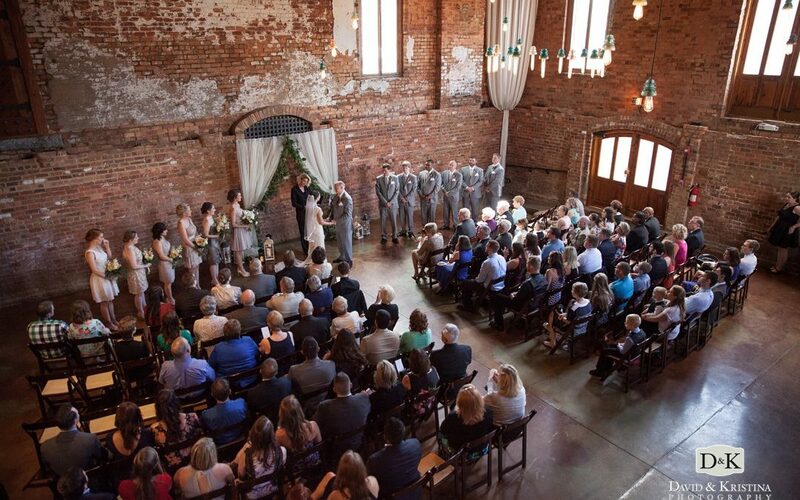 The Old Cigar Warehouse Wedding Venue was the perfect choice for Logan and Lindsey! 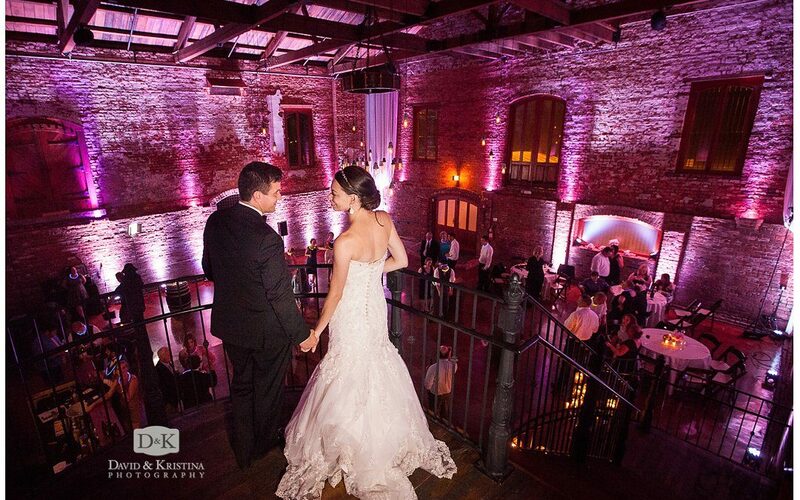 We always enjoy photographing weddings at The Old Cigar Warehouse (OCW), but this time, it was extra special. 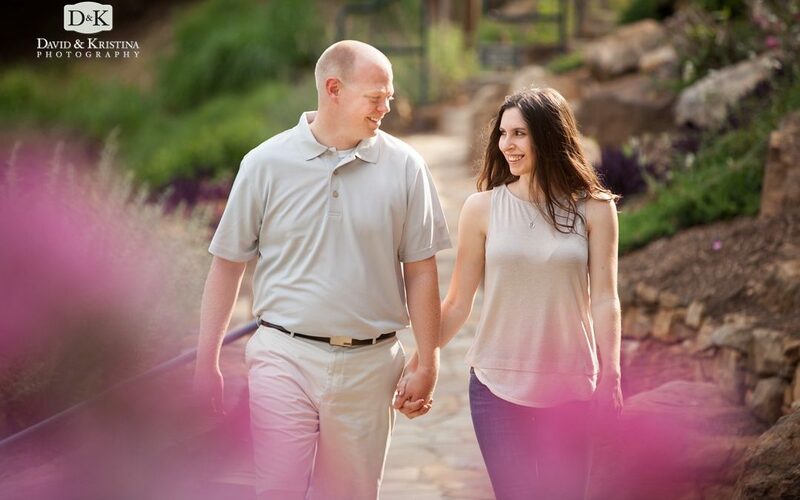 We’ve enjoyed getting to know Lindsey over the past few years and were excited to hear she and Logan had gotten engaged and honored that they chose us to be their wedding photographers! Lindsey was actually an important part of our downtown studio grand opening party 3 years ago…she managed the bar provided by Liquid Catering. 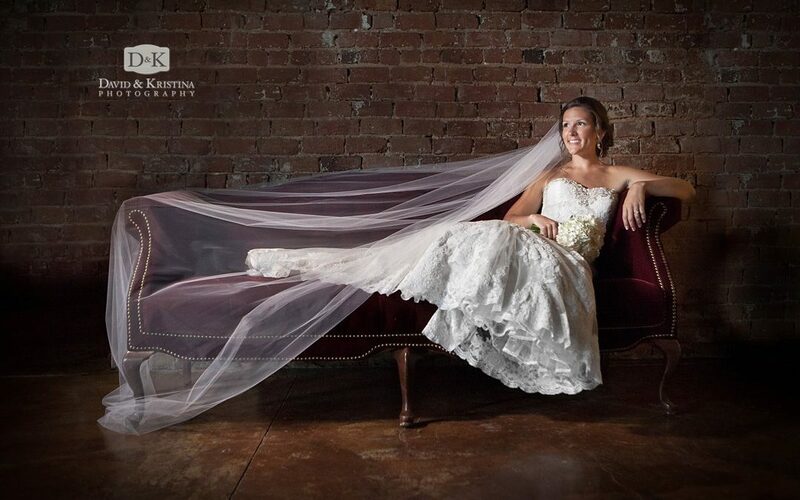 The possibilities are almost endless for creative angles and framing for shooting a bridal portrait at The Old Cigar Warehouse. Here are a few favs from Kelsey’s session. Often mid/late afternoon is the best time to do an Old Cigar Warehouse bridal portrait because of the way the sunlight streams through the upper level windows. There are also some cool little archways and overhangs where you can get some really great natural light. 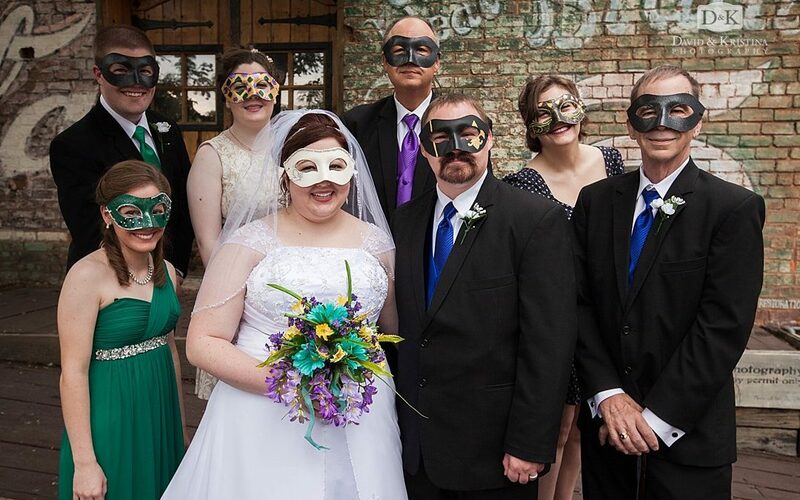 June 1 was a special date for Jessica and Zane, and when they asked us to photograph their Mardi Gras themed wedding – on a Wednesday – we were more than excited to say yes! 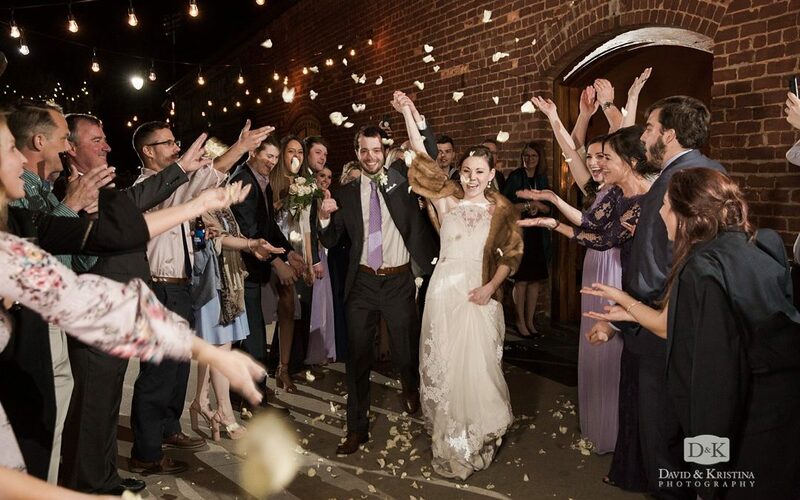 Both their wedding ceremony and reception were held at the Old Cigar Warehouse in Greenville’s West End.